A distant aunt has recently passed, leaving your family to deal with her vast estate's welfare. After finding that several areas of the house needed fixing, your family has decided to sell the old manor as is. Since the city wants the site for new construction, the family decides to take an offer they can't refuse, the only stipulation is anything you want to keep needs to be removed by morning, due to the demolition of the house. 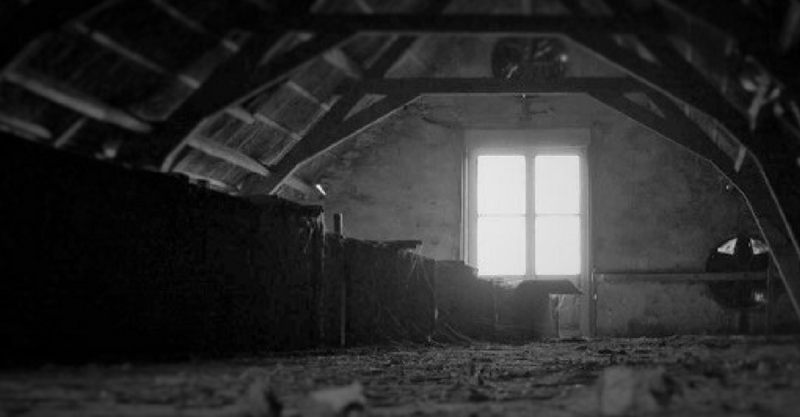 After going through all the assets, you have headed upstairs to find yourself Locked Away in the old attic. Do you and your family have what it takes to find your way out, within the hour, before the bulldozer arrives, or will you be taken down with the old home.